“Hiram,” a Kentuckian with a good sense of humor, writes a “travel account” parody about a mundane trip he took to the flour mill. An example of a “travel account” can be found in this previous post; it is from a California Gold Rush forty-niner. PLEASANT GROVE, Sept. 20, ’74. When men visit a foreign country or a celebrated watering place the first thing they do, after arriving, is to write an account of what they have seen or heard and send it to some paper for publication. We have not been on any very extended journey, yet we have been to Brewer’s old mill and we have a right to write of what took place on our journey, and we mean to do it! On last Tuesday morning we threw twenty bushels of smutless wheat into a new red, striped two-horse wagon and hung a pair of mules to it and started. The morning was splendid, and this beautiful world looked more bright and beautiful still. The sky was cloudless, the air bracing, birds sang sweetly and all nature seemed joyous and glad. 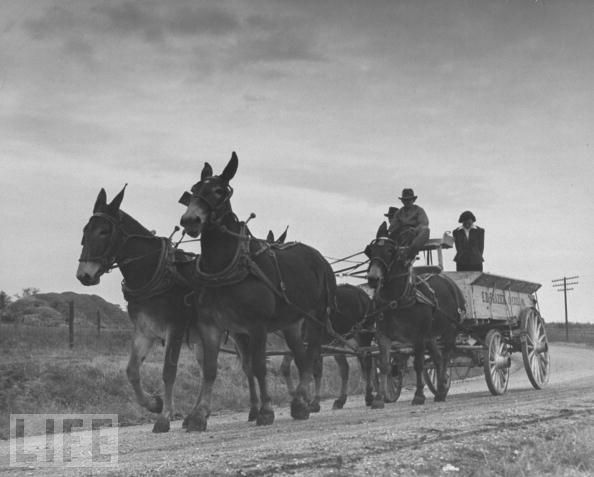 Driving mules is, afterall, a very particular business, and by way of parenthesis permit us to say that there is not more than one man out of every twenty who has sense enough to drive a mule. We arrived at your city about 10 o’clock, where we halted for a few moments in order to procure a few drops of the “Elixir of Life.” This we bought for the especial benefit of our sable friend, Frank, who, by the way, can hide more of it than any many of his “arithmetician” we have ever seen. After a very short rest we started for the sunny plains of South Christian. 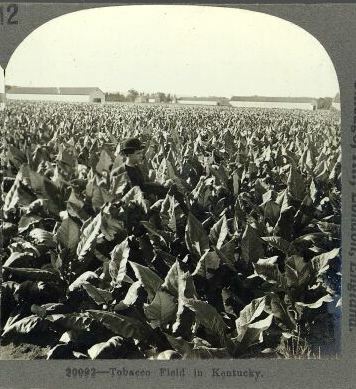 We soon left Hopkinsville with its aristocracy and poverty (and it certainly contains more of these than any other city of its size in the world) far behind and found ourself in the center of as fine and fertile a country as we have ever seen. Broad acres of rich loamy land, upon which grew luxurient crops of corn and tobacco spread out like the waves of the sea before us; while here and there lordly palaces reared their chequred domes-high toward that traditional land where the wicked are said to cease from trouble and the weary are at rest. We turned our dust bedimmed eyes in the direction she was going, but alas, she had vanished like the fragments of a broken dream and we saw her no more. Frank, who is rather superstitious, swore that she was a bright winged angel sent fresh from the golden paved streets above for a few fleeting moments to light up our dusty roadway with her smiles. Dinner being finished we started on our way rejoicing. Up to this hour, 1 o’clock, P.M., the heavens had been cloudless and serene; but soon the low hung clouds began to gather over us. The lurid lightning played across the dark canopy, while the low fearful peals of the sullen thunder followed each other so rapidly that it was really alarming. Soon the pearly drops of rain began to fall, and such a rain never fell upon our unprotected head before. It seemed as though the very floodgates in the great celestial dam had been thrown open and the wild, combined, pent up torrents of two worlds had been turned loose upon us. Why heaven was so cruel to us we will never be able to tell. 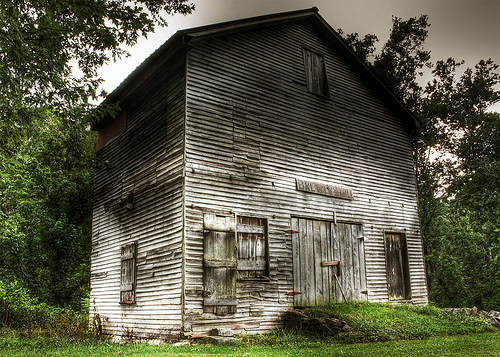 We stopped a few minutes at Church Hill where we were the recipients of many little favors at the hands of young Mr. ____ the gentlemanly clerk, who, for that day, flourished the yard stick behind Mr. Adam’s counter. Our friend Frank slept, slept (by himself) like a knot on a log — the mad rush of the fretful river, the deep sonorous croak of a legion of frogs, the sharp bills of a hundred hungry musquitos, the endless bow-wow of a half dozen little dogs no more disturbed him than they would have disturbed the quiet rest of the Cardiff giant or an Egyptian mummy. Never during that long night did we close our eyes in sleep. About midnight, as if to mock our misery, the little stars came out by twos and sparkled and shimmered and twinkled as if all the world was gay and happy too. We have never put over such a night as that before and hope we never will again. We got home next day more dead than alive, with plenty of flour, and now since we have got rested, everything is lovely and the goose hangs celestially. The industrious bee gathers honey as well from the humble bloom of the field and way-side as from the gorgeous flowers of the garden, so Hiram finds sufficient scope for his wit, his humor and his fine descriptive powers in his trip to mill in his striped wagon. From the indications, he drew a large amount of his inspiration from his elixir of life. 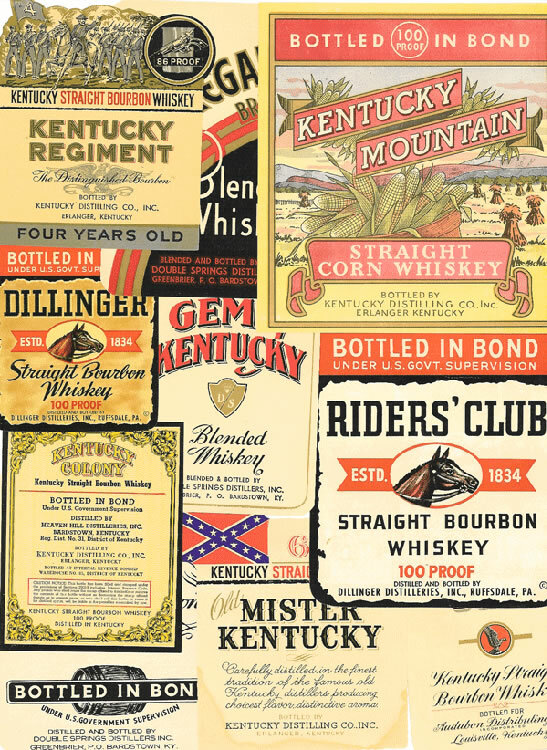 The Kentucky New Era had a group of correspondents that regularly wrote about the “goings on,” or lack thereof, in their respective communities, and which, the newspaper published. Hiram was one of those correspondents, and so was “H.” And they didn’t always see eye to eye. To browse the Kentucky New Era newspapers, go to this Google news archive LINK. You can type in a specific date, or just the year, or just click on the images and browse.